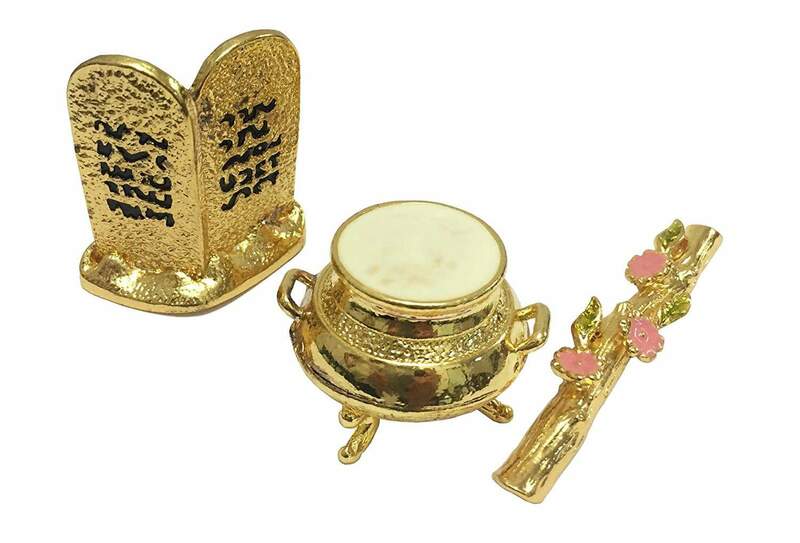 This beautiful gold replica includes the Ark of Covenant contents: the Aaron Rod, the Golden Vessel and two Tablets, joined together at the base, with the Ten Commandants scribbled on them. This beautiful gold replica includes the Ark of Covenant contents: the Aaron Rod, the Golden Vessel and two Tablets, joined together at the base, with the Ten Commandants scribbled on them. The lengths/heights of the Rod, Tablets and Vessel are 1.8 inches, 1.6 inches and 0.8 inches, respectively. This product complements well with the Ark of Covenant, and together, the two make a great gift.